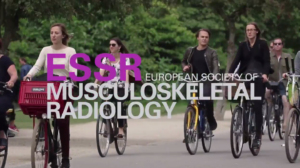 With more than 66,000 members across the globe, it has grown to become the largest radiological society in the world and hosts one of the biggest and most innovative scientific meetings in Europe, the European Congress of Radiology, in Vienna each year. 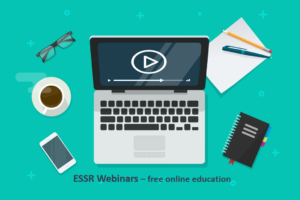 The European School of Radiology (ESOR) is an institution, fulfilling the mission of the European Society of Radiology (ESR) in the field of education. One of its main goals is to assist in harmonising radiological education in Europe. With its wide range of activities ESOR additionally aims to raise standards in the field of scientific radiology, to extend and coordinate teaching resources worldwide and to help young radiologists to achieve the knowledge and skills to fulfil tomorrow’s requirements. The ISS is an interdisciplinary society dedicated to the learning, understanding and teaching of musculoskeletal disorders. Besides many other international activities, The International Skeletal Society holds an annual fall meeting with the presentation and discussion of clinical case studies, scientific papers and reviews on all aspects of musculoskeletal disorders including imaging, pathology and clinical management. The Society of Skeletal Radiology was founded in 1978 and is the organization representing over 1400 MSK Radiology Physician members in the United States and Canada. The SSR hosts a 4 day meeting each year in the spring to discuss current research and educational topics in Musculoskeletal Radiology. The society also actively participates in the creation of North American standards for MSK imaging, education of residents and fellows, and socioeconomic issues which impact its members. This society was formed in 1999, and consists of radiologists and other individuals with a special interest in musculoskeletal radiology and related fields. Members hail from many countries in Asia, including Cambodia, China, India, Indonesia, Japan, Korea, Malaysia, Myanmar, Oman, The Philippines, Singapore, Sri Lanka, and Thailand. We also have international members from the Netherlands, South Africa and the U.S.A. Besides radiologists, members include pathologists, orthopaedic surgeons, rheumatologists, sports physicians and veterinarians. The AMS aims to promote all aspects of musculoskeletal radiology in Asia. was founded in 1992. The group provides a forum for the professional development of musculoskeletal imaging in Australia and New Zealand. The AMSIG Annual Meeting & Conference is held around April or May each year. The group is also active in promoting education in musculoskeletal imaging, liaison with other similar groups internationally and provides representation on various government bodies.